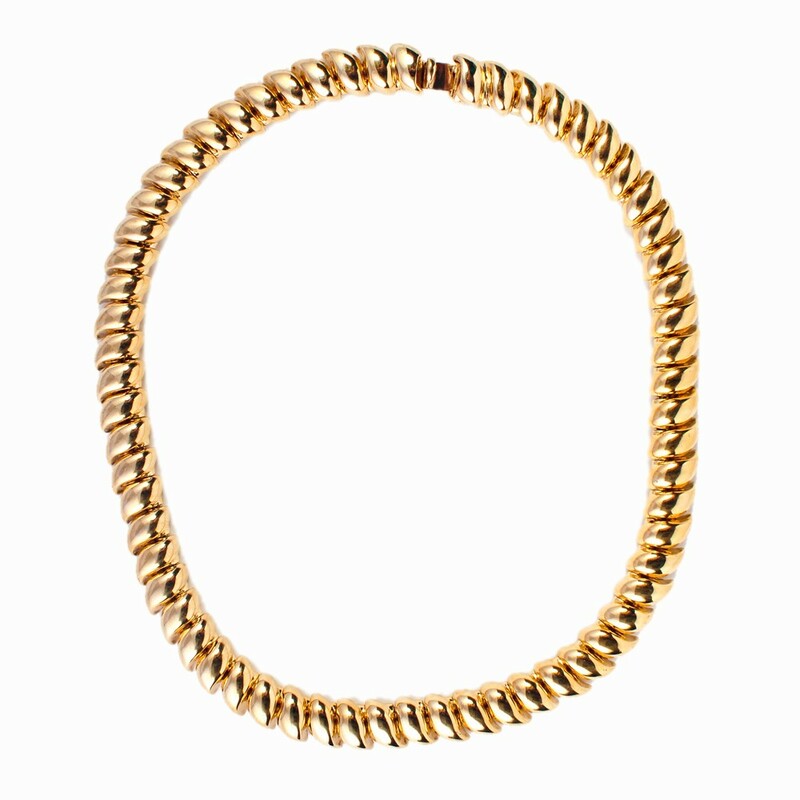 Gold-plated 1/2" wide necklace customizable in lengths from 16", 17" or 18". 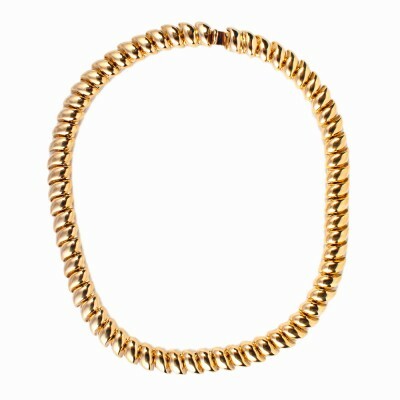 It is also available in silver or gold tone. Please call our Palm Beach store at (561) 655-5770 and we will gladly assist you with your purchase.